Buying GroundSmart™ Rubber Mulch in bulk has never been easier! Buying GroundSmart™ Rubber Mulch in bulk is the most convenient and time-saving way to complete larger projects like playgrounds, training courses, or landscaping. Our customers choose to purchase rubber mulch in bulk for the easy curbside delivery; rather than trying to load smaller bags at the store—then unloading them at the installation site. 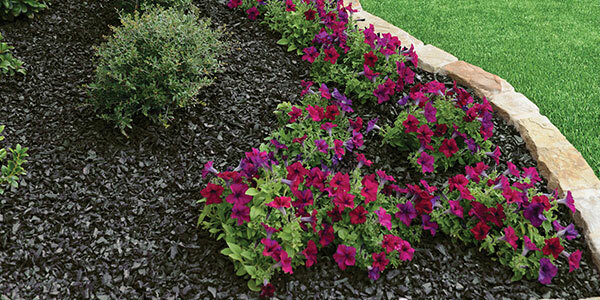 You can be as creative as you want with the beautiful colors of GroundSmart™ Rubber Mulch. It blocks growth of weeds, doesn’t attract pests, and won’t blow away in bad weather. Put it around trees, flower beds, or vegetable gardens. Use it for walkways fence borders, and anywhere else you can think of. With a 12 year Color-Lock guarantee, you’ll be able to enjoy your landscape design for years to come. See our home page for the top 6 uses for rubber mulch. Do I really need that much? Most projects will need more mulch than you’ll want to load into your car yourself. The average SUV holds about 30 individual bags of mulch. In landscaping terms, that covers about 150 square feet. Once you’ve tried GroundSmart™ Rubber Mulch, you’ll find that you want to use it everywhere because if it’s beauty and versatility. Measure your project area and test out the coverage calculator to see how much you really need. Buying in bulk saves you an extra trip to the store, and all that heavy lifting in the parking lot. GroundSmart™ Rubber Mulch actually saves you money in the long run. 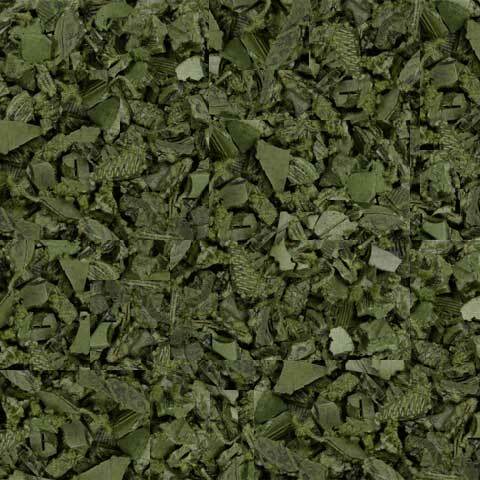 Most mulches require annual replacement, and are more likely to degrade or wash away with bad weather. Rubber mulch is built to last and withstand the elements. It’s also heavier and so it stays wherever it’s installed. After just 2 years of replacing wood mulch, you’ve already matched the cost of rubber mulch, that’s guaranteed to last another 10 years. Here’s How To Order in Bulk! Trust the industry leader in safety and quality for your playground or landscaping rubber mulch needs.